Are we keeping the Winter Fuel Allowance? On behalf of The Lions Club of Cheltenham, The Mayor of Cheltenham, Councillor Klara Sudbury, launched Wenceslas Heating on Monday 23 October 2017. It is intended to continue in future years, at least until a Government abolishes Winter Fuel Allowances. Wenceslas Heating is so named because in the carol, Good King Wenceslas looked out when the frost was cruel and he saw a poor man gathering winter fuel. Wenceslas Heating gathers Winter Fuel Allowances to pass to the poor. 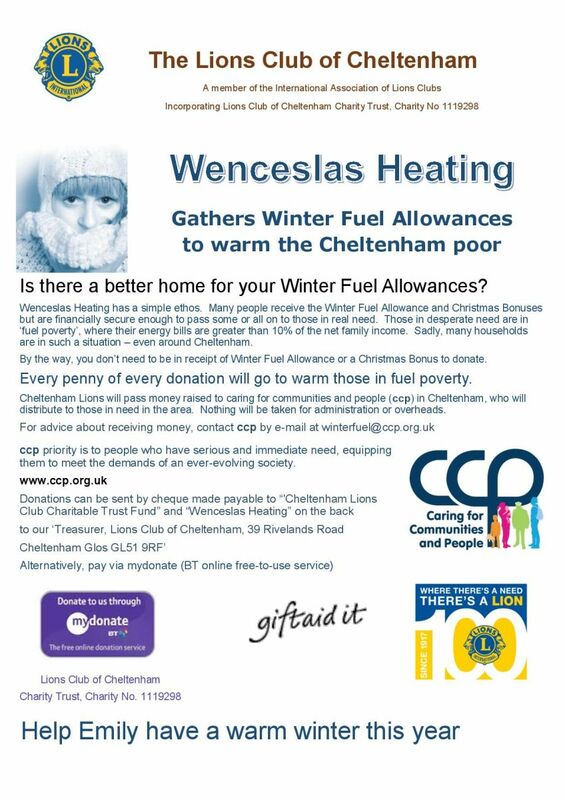 If anyone feels that they can manage without their Winter Fuel Allowance, Cheltenham Lions provide a direct bridge to those in Cheltenham with insufficient money to pay their fuel bills. 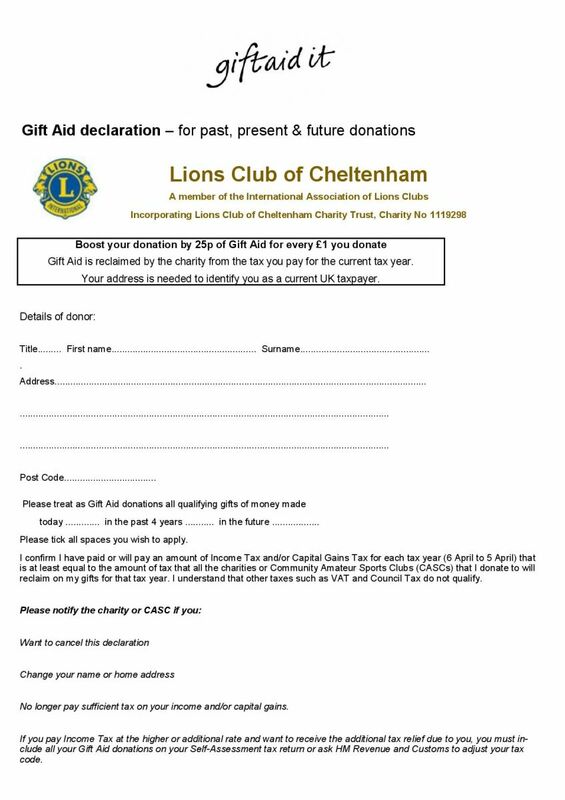 The Lions Club of Cheltenham will pass money raised to caring for communities and people (ccp), who will distribute to those in need in Cheltenham. Nothing will be taken for administration or overheads by Cheltenham Lions or ccp. ccp is adept at helping people who have serious and immediate need. ccp will ensure that the money is shared fairly and beneficially to those in greatest need. The project is running successfully by Lions in a few other English towns. It is calculated that around 6925 households in Cheltenham need to spend 10% or more of their income to achieve adequate warmth. To give just £30 to each of these households, we would need over £200,000. Please give generously. Remember you can boost your donation by 25p of Gift Aid for every £1 you donate. More information and a Gift Aid form can be found by clicking here.